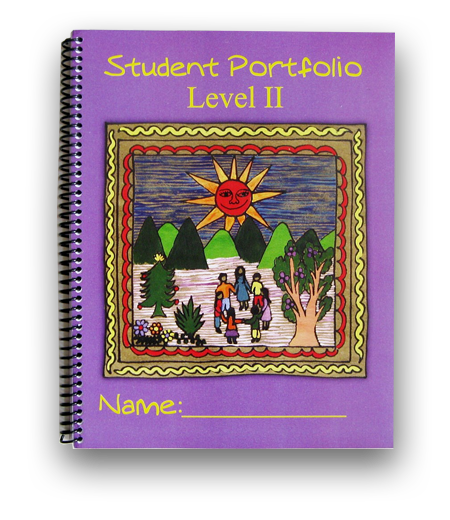 Our Level II Student Portfolio provides practice of the language concepts for each lesson with partner activities and independent portfolio activities. Students interpret text and images, converse in Spanish, and read and write in Spanish. The portfolio includes formative and summative assessments so teachers can monitor and evaluate student learning and home reports so parents can see what their child is learning in Spanish. The portfolio is included in the Level II Curriculum in both hardcopy and digital versions and is fully reproducible. Call us today to inquire about bulk pricing.